towerMAX CO-4-110 from ITWLinx features analog station set and central office line protection with Auto-Resetting Technology, which protects up to 8 wires (4 pairs). The PTC resistors open when a surge occurs, protecting your equipment, but unlike other fuses, the PTCs close again once the surge passes. 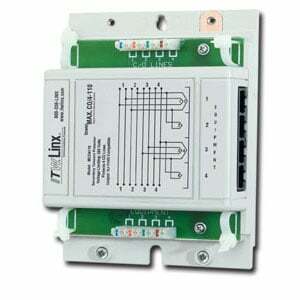 The unit offers expandable system protection using towerMAX Series Base Units. It also features Signal Perfect Circuitry for auto-resetting surge protection for data networks, telephone and coax lines with 110 Punchdown input and RJ-11/45 or 110 Punchdown output termination type. 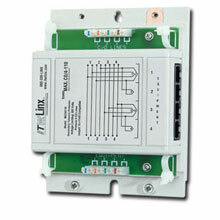 The ITW Linx MCO4110 is also known as ILX-MCO4110	.